We want to take this time to thank everyone that supports Save A Stray by fostering, transporting, donating, caring, and speaking out when they see abuse and neglect. If you haven’t already please like our fairly new Facebook Page Harney County Save A Stray Rescue! Your continued support is needed to be able to keep our rescue going. We have our donation cans out at Figaro’s and Thriftway. A huge thank-you to both locations for allowing us to keep our cans there over the years! Donations of cat and dog food can be dropped off at 132 South Buena Vista for our fosters and food bank, we have an account at U S Bank, an account at Sage Country Vet, you can donate through our Facebook page, or you can mail a check to P O Box 403 Burns, Or. Every penny goes directly to the care of the animals. We are an all volunteer 501-C3 non profit animal rescue. Our tax ID number is 27-1114475. _Here we are at the end of another year! 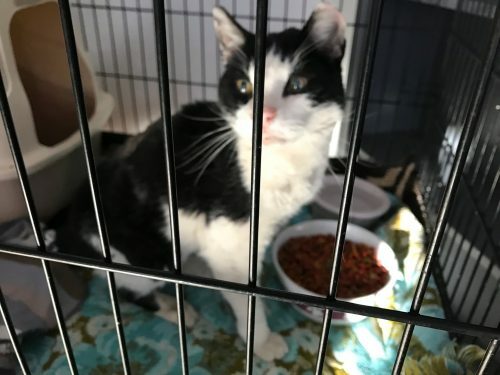 It’s been over 9 years now that Save A Stray has been helping our local community with rescuing, rehoming, transporting, fostering, providing medical care, and spaying and neutering our local cats and dogs. We recently took in two stray cats both have been badly injured. We have already incurred 350.00 in vet bills and would appreciate donations towards their care. 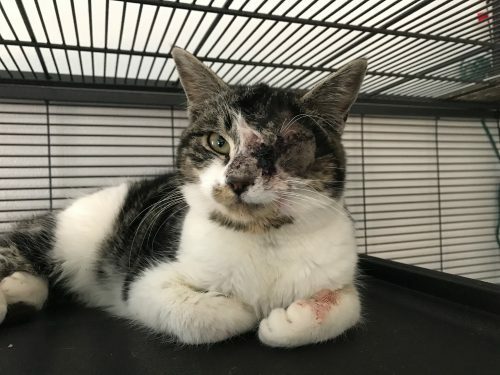 “Popeye” had to have his eye removed after he was found with it hanging out, and our newest arrival as you can see has been attacked by a predator and is emaciated.. Both of these boys are a sweet as can be. Please remember us during this season of giving with a year end donation. We want to thank all those that support our efforts and everyone that has donated and helped us out this year! Our foster homes and transport help is greatly appreciated! This year to date we have rescued 80 cats and kittens and 40 dogs. These cats and dogs were transferred to no-kill shelters and have gone on to find loving homes. Save A Stray also continues our Trap, Neuter, Release program of many feral cats in our community who were once someone’s pet and now have become community cats trying to survive. Please do not abandon your cat/s when you move! We had several calls for help this year when mama cats and their babies were left behind when owners moved. This is the way whole colonies get started and the suffering begins when these once house pets end up struggling to find food and start multiplying. We do our very best to answer every call with our help and support. We always need more foster homes! All these services provided by Save A Stray cost money and we would appreciate donations of any amount so that we can continue our work here in Harney County. We have an account set up at US Bank or mail to our P O Box 403 in Burns or at our website harneycountysaveastray.com. We are a 501 C-3 Non Profit, our tax ID # is 27-1114475. Donations of cat and dog food can be dropped off at 132 South Buena Vista in Burns. Thank -You!! As another year comes to a close we want to give you an update on all that your local, all volunteer rescue group has been doing. Save A Stray receives many calls for help on a daily basis, here are just a few of the reasons – when strays cats are found, owners pass away and their animals are now homeless, kittens have been abandoned because their mama has been killed or they have been dumped, impounded dogs need to be bailed out so they won’t get euthanized, owners can no longer keep their pets for various reasons and owners that are needing help with cat or dog food. We gladly help as many as we can with the resources we have which are most of the time very limited. This past year to date we have rescued 140 cats and kittens and 33 dogs. These cats and dogs were transferred to no-kill shelters and gone on to find loving homes. We desperately need more foster homes for cats and kittens, Angie and I just can’t keep up with the need when kitten season is in full swing, please call or text us if you can help, we provide all the supplies for fostering. Save A Stray also continues our Trap, Neuter, Release program of many feral cats in our community who were once someone’s pet, 121 feral cats were fixed this year! A huge thanks to Sissy Mills and Gayle Macky that are a big part of our TNR program, many cats have better lives because of all their hard work! We also have monthly,low cost, spay and neuter clinics here locally with Dr. Katy and the Sage County Vet Team, we appreciate them so much! This year 22 owned dogs and 80 owned cats were spayed and neutered. I encourage owners to contact me if you need your dogs or cats fixed. There simply are not enough good homes for them all, especially the cats, they are the ones that suffer the greatest because of it! You can text or call us at 541-589-1104. All these services provided by Save A Stray cost money and we would appreciate donations of any amount so that we can continue our work here in Harney County. We have an account set up at US Bank or mail to our P O Box 403 in Burns or at our website harneycountysaveastray.com. We are a 501 C-3 Non Profit, our tax ID # is 27-1114475. Donations of cat and dog food can be dropped off at 132 South Buena Vista in Burns. Sure most of you would agree that there are certain situations that you cannot turn your back on, for instance, the plight of unwanted, abandoned, and homeless animals. You are receiving this e-mail because we believe you have concern and compassion for our helpless furry friends. We are hosting this annual spring fundraiser to help Save A Stray help animals, and to provide you animal lovers with the opportunity to help also by choosing to donate to this shoestring animal rescue. WHY DONATE TO SAVE A STRAY? SAS financially supports regularly scheduled local low cost spay & neuter clinics (Sage Country Vet). 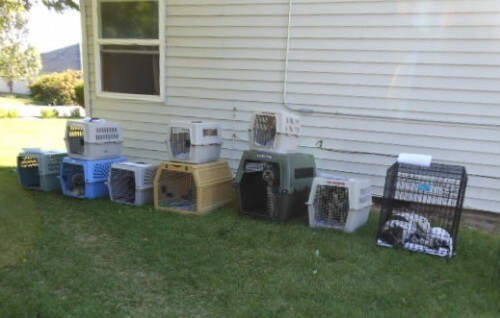 ***1334 cats and dogs spayed & neutered! IT’S EASY TO DONATE…simply click the DONATE button on the Save A Stray website (above). When you write a check you can send directly to the Harney County Save A Stray Rescue account at US Bank or Save A Stray P O Box 403 Burns, OR 97720. Your donation is tax deductable. At your request we will send you a receipt, please let us know the $ amount of your donation. Thank you. Yes, every little bit does help! The desperately needed additional $$ will fund the low cost spay & neuter clinics, provide gas money to transport animals, and buy medicine and animal food. Heading out to Burns? For those of you who like a “hands on” approach, you can drop off donations of cat food; 16lb bags of dry cat food are preferred (they go through one bag a day). Please leave your donation at Sissy’s house – inside the storm door, at 163 W. C St. Burns, OR (just north of Safeway). Again, if you want a tax deductable receipt for your donation, just let us know. Thank you so much! This past year Save A Stray has re-homed 51 dogs and 184 cats and kittens. We transport 99 percent of these animals to other shelters where they are put up for adoption and have a chance at a new life. 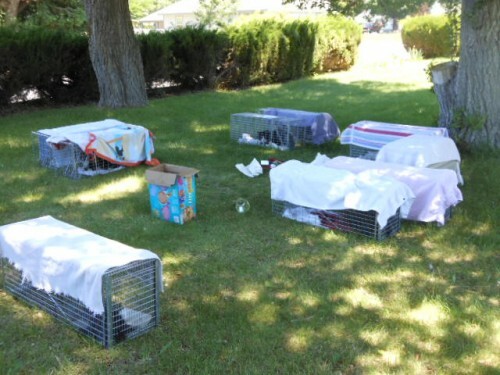 We have trapped over 100 feral cats and gotten them spayed and neutered as well as helped owners with an option of discounted spaying and neutering of their pets. This year with financial help from the County and a grant we received from the Petco Foundation we were able to accomplish some of our goals. We still have a lot of work to do as the rescue of stray, unwanted and abandoned animals in Harney County never takes a break. We are an all volunteer non profit rescue that when our funds run out we often have to pay out of our own pockets rather than let an animal suffer without medical care, food, and the cost of transporting the animals to no kill shelters and rescues. We appreciate all our supporters and those that encourage us to keep going. It this time of the year we ask you to remember Save A Stray when considering your year end donations. We are 501 C-3 non profit and all donations are tax deductible. We have an account at US Bank and our Address is P O Box 403 Burns, Or. There is also a paypal option here on our website. It all started with two black Labrador retrievers. 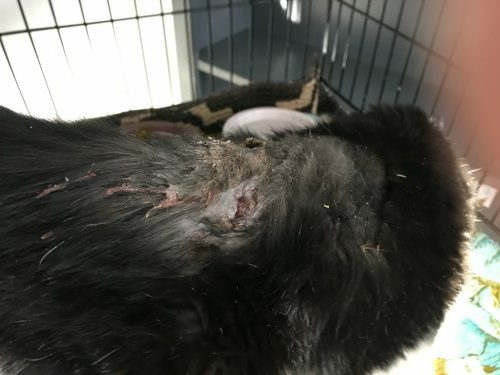 Melanie Epping was visiting family in the area when she and her sister, Angie Tiller, had to make a trip to Harney County Veterinary Clinic (HCVC). While there, they noticed two dogs that had been impounded. Upon inquiring about them, they discovered that the clinic was only able to hold impounded dogs for a certain amount of time before it was forced to euthanize them. It’s time to Spay and Neuter! With the beginning of spring brings many, many unwanted litters of puppies and kittens. We all need to do our part to keep the focus on spaying and neutering not only domestic cats and dogs but the stray and community cats also. Right now Save A Stray is trying to put together a special clinic just for this purpose! We need your help with donations of any amount toward our efforts to keep the pet population down in our community. By spaying and neutering the community or “feral” cats it will decrease the stray kittens that wander out of the colonies that become peoples pets and most of the time never get fixed thus adding to the already staggering amount of cats needing homes right now. Did you know that one female cat and her kittens can lead to the births of 370,000 cats in 7 years?? In the US alone , animal shelters take in 6-8 million animals a year and 3-4 million are euthanized because there aren’t enough homes!! If more people spayed and neutered these poor animals wouldn’t be dying in shelters. Will you join in and help us today? Donations can be made via Paypal right here on our website, or by mail at P O Box 403 Burns, Or. or by stopping in at a US Bank. Together we can make a difference! Well where do I begin? Another year has gone by and we are still doing our best to help the people and animals of Harney County. As of today 84 dogs and puppies and 125 cats and kittens have been rescued by Save A Stray. We continue to help the low income people with low cost spaying and neutering to control to pet overpopulation and want to thank Dr. Katy Wallace of Sage Country Vet for her help in this area. We could not do it with out her and her team, they have helped us in so many ways this past year! We want to also thank the Harney County Vet Clinic for housing all the stray dogs and keeping them safe until their owners or Save A Stray bails them out. No adoptable dog has been euthanized in over 5 years now! We continue to ask for your support, most if not all of the animals rescued by Save A Stray are transported to other shelters and rescues. Donations to help with gas are needed as well as for food while they are in foster care waiting to be transported. Any amount is appreciated and goes directly to the animals care. Our P O Box in Burns is 403 and we also have an account at US Bank. We are also so excited about the new House Bill regarding anti chaining of dogs for 24 hours a day, seven days a week. This law goes into effect on January 1st 2014 and we know now that several dogs living this way in Harney County will finally have a voice. If you know of anyone that continually chains their dog or dogs please notify the sheriffs department at 573-6028 or the Burns Police department at 573-6781. Or you can call Save A Stray at 541-589-1104. We all need to be a voice for these poor dogs living their lives at the end of chains. Can you even imagine just one day living that way..? Most of the time their water has been tipped over by the chain, do they even get fed on a regular basis? Do they have adequate shelter? Is their environment clean? Can they even get away from their own waste? Do they EVER get off the chain or get ANY attention? Save A Stray can help and wants to help but if we don’t know about them, we can’t. We need YOUR help! SALEM — A law designed to restrict the use of tethers on animals was signed by Oregon Gov. John Kitzhaber Thursday. House Bill 2783 takes effect in January. It limits the time an animal can be tethered to 10 hours in a 24-hour period, or 15 hours if the tether attaches to a line, pulley or trolley. The law forbids the use of tethers in a configuration that entangles and endangers animals. It forbids use of pinching and choking collars. The law was pushed by the group Fences for Fido, and gained support with the Oregon Humane Society. The law has some exemptions. It applies to the person with custodial control of the animal. It exempts people who stay directly by the animal. It does not apply to animals getting transported, used in a hunt, herding and protecting livestock, at a campground or other recreational area, and for dog sledding. The law requires “adequate bedding” that keeps animals dry and reasonably clean with normal body temperatures. Also required is “adequate shelter” that protects animals from the elements and prevents injury. Crawl spaces, steps, decks, stoops and the underside of vehicles are not adequate shelters. Nor are carriers and crates used for transport, or shelters that fall apart in the elements. You may not keep an animal in a vehicle to its detriment. Shelters with chain link floors are illegal unless the use is for birds. Shelter surroundings must be free of impediments that could harm an animal. Violations are a Class B misdemeanor. Kitzhaber also signed a second law, giving judges the option to consider severity and cruelty when sentencing someone for animal abuse. With the help of Dr. Katy and her staff from Sage Country Vet, Save A Stray was able to spay and neuter 17 cats and 12 dogs! Many of these dogs and cats were females and would have gone on to reproduce more litters of unwanted puppies and kittens. All of the cats were from two different feral colonies where we also caught 11 kittens that we were able to get into rescues to be tamed down so they wouldn’t have to be released back into the wild. The dogs were owned mostly by people on disability and could not afford to get them fixed any other way. Save A Stray is currently in the process of applying for a second grant to be able to continue to do more clinics like this one. Both days were very long and tiring for everyone, especially Dr. Katy who went above and beyond to help us out doing ALL those surgeries! Thank You Dr. Katy and staff! !